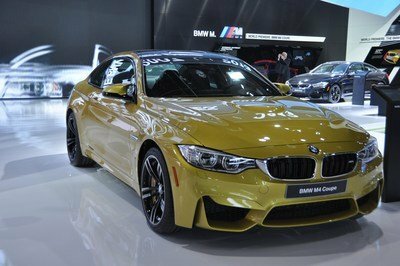 Every year at the Geneva Motor Show, some of the biggest aftermarket tuning firms troop to the event to showcase their latest wares. It’s a lot different than what people expect from automakers, because as tuners, their business is geared towards improving what automakers have done and make certain cars look better, drive faster, or in some cases, a combination of both. Mansory is considered one of the best in the business, or at least one of the most influential tuners in the world. Every year, it goes to Geneva to unveil some of its new projects and this year will be no different. One of its new creations is this one, the 4XX Siracusa that’s based off of the Ferrari 488 GTB. Like it? Don’t like it? Don’t worry, those are common reactions when it comes to these guys. The thing you have to realize with a tuner like Mansory is that the aggressive way it creates its programs often leads to polarizing reactions. Some people don’t like how edgy Mansory is with its kits, whereas others love the tuner’s willingness to be bold and provocative. Either way, that reputation has served the Mansory well and that’s why it has no problem presenting a kit like the 4XX Siracusa at the world’s biggest auto show, where as has become a routine, the program will be one of the most talked-about cars in the showroom floor. 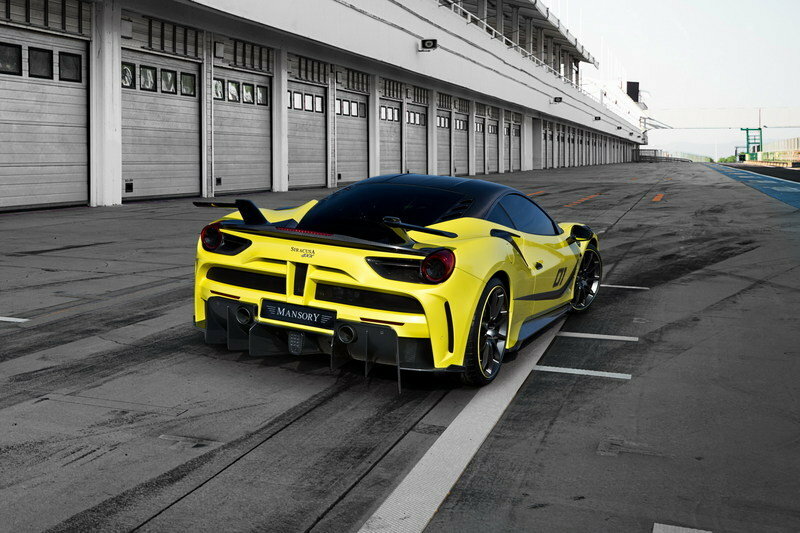 The exterior is largely defined by Mansory’s trademark for adding an extensive amount of carbon fiber aero kits to give the 488 GTB a more race-oriented profile. 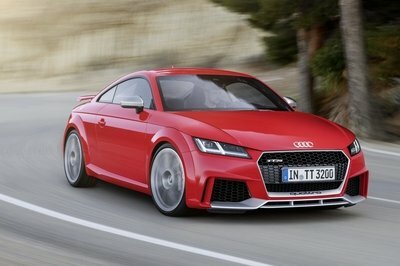 The entire front section has been dramatically altered with the addition of a front spoiler and larger air intakes. The two vertical fins on the bumper of the Ferrari have been swapped for one large bar in the middle. The hood, for the most part, retains its standard configuration, but if you look at it real closely, Mansory’s use of the yellow and black finishes on the exterior gives the 488 GTB a different and far more aggressive look. 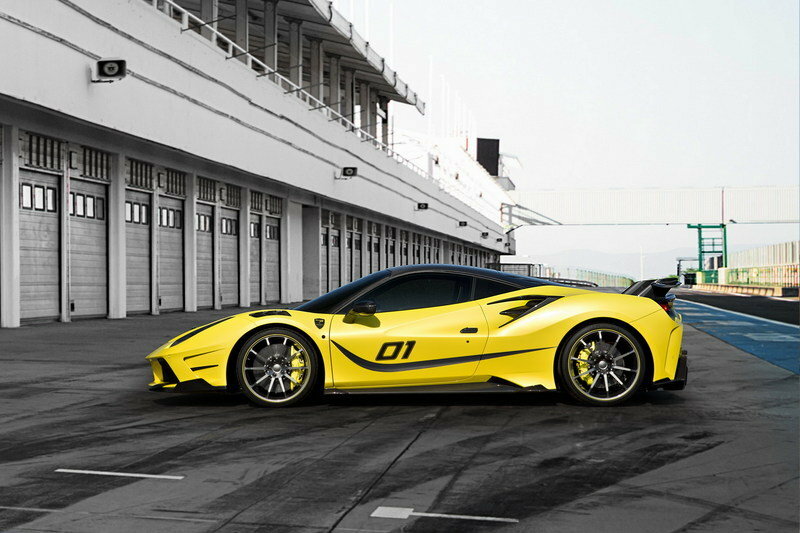 Notice also how the tuner created that yellow nose with the black carbon fiber trim with the Mansory badge inside it. It does remind you of the Ferrari Enzo, doesn’t it? The side profile is probably the most muted aspect of the 4XX Siracusa’s body. The side body graphics are there, as is the Mansory badge, the carbon fiber mirrors and side sills, and the set of 20- and 21-inch alloy wheels wrapped in 255/30 and 325/25 high-performance tires, respectively. But other than these handful of additions, there’s not much going on there. For better or worse, that’s not the case with the rear, which gets an extensive modification that’s bordering on the outrageous. First, there’s the dual rear spoiler that we rarely get to see. 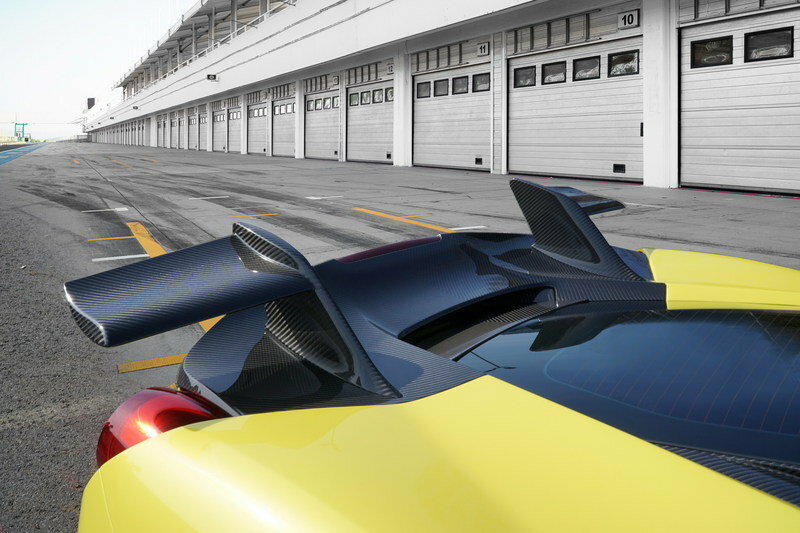 That’s complemented by the dramatically stylized rear bumper and the massive diffuser that for some, including myself, kind of looks like the whiskers of a Decepticon. I get the functional aspects of these components and why they’re there, but those people who do think that Mansory tends to get a little too edgy for its own good can point to this rear as Exhibit A. On that end, I have no arguments. True to form, Mansory wasted little time splashing as much carbon fiber trim on the interior as the 488 GTB can handle. The dashboard, the wheel, and parts of the center tunnel are awash in carbon fiber. Complementing that high-quality material are sports seats dressed in premium leather with matching yellow contrast stitching and special floor mats that look far more comfortable than most of the car seats we have today. One other thing of note is the switchgear. It’s packaged differently than they are in the standard model to the point that a casual observer might mistake them as being integrated into a handbrake when in fact it appears to be something that Mansory just created to be different. The power upgrades included in the 4XX Siracusa program are impressive even though the methods appear to be rather straightforward. According to the German tuner, the modifications to the car’s 3.9-liter biturbo V-8 engine mainly include an optimized ECU unit and a new, specially designed sports exhaust system. 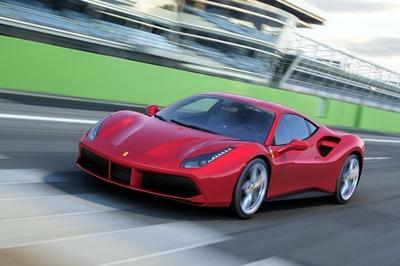 It does seem simple, but apparently, this upgrade is enough to take the output of the Ferrari from 659 horsepower and 560 pound-feet of torque all the way up to 790 ponies and 561 pound-feet of twist. There’s really not much of an upgrade on the torque numbers, but that extra 131 horsepower is a healthy dose of extra horses. The result of this engine upgrade helps the 4XX Siracusa sprint from 0 to 62 mph in just 2.9 seconds, one-tenth of a second quicker than the standard 488 GTB. 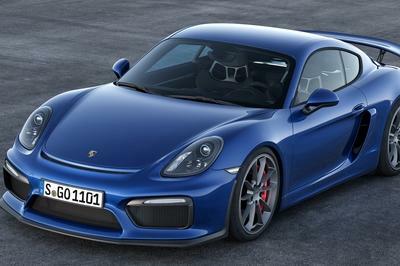 It’s top speed also increased from the standard 205 mph all the way up to 211 mph. The detailed work on the car’s aerodynamic characteristics and the significant increase in power made it necessary for Mansory to make some adjustments on the 488 GTB’s ride height. 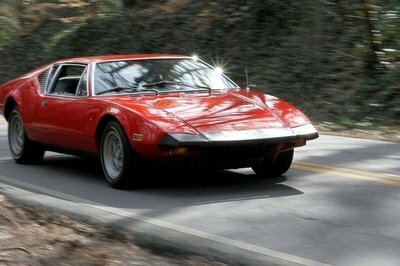 As such, the tuner installed a set of lowering springs that effectively drops the Ferrari’s height by 0.78 inches. Mansory typically doesn’t release pricing details for its auto show-bound projects. Instead, it relies on customer interest on determining its price. So if anybody with a Ferrari 488 GTB wants to turn it into the 4XX Siracusa, the best way to get a quote is to reach out to the German tuner directly. That said, if I were to make a guess, the price for this program will almost certainly reach six figures. O.CT Tuning’s program for the Lamborghini Huracán doesn’t have the same amount of aerodynamic bits that the 4XX Siracusa has. In fact, O.CT didn’t even pay enough attention on giving the Huracán anything of note as far as the exterior and interior of the supercar are concerned. 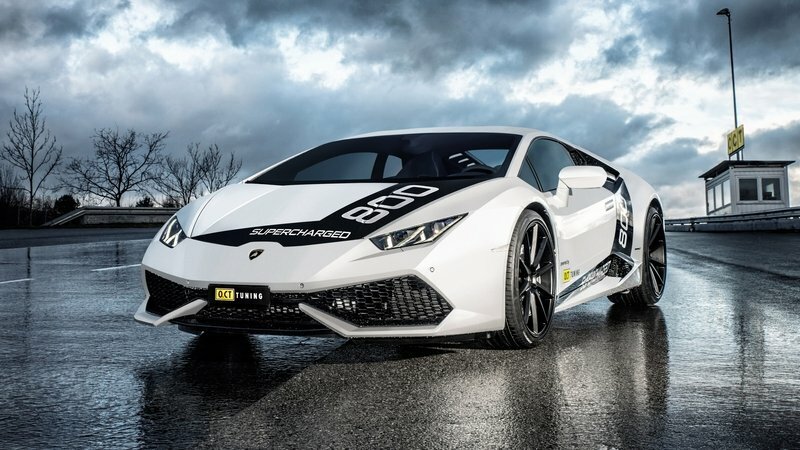 The only two things that can be considered new for this program are the decals on the hood and sides of the Huracán and the offer of 20- and 21-inch sporty rims. The absence of any exterior and interior modifications is pretty disappointing. Fortunately, the tuner made up for it with a massive engine program that includes a supercharger kit that has its own software upgrade. With these mods safely installed and secured, O.CT was able to generate a power-packed 805 horsepower and 597 pound-feet of torque of output. That’s a hefty increase that allows the Lambo to sprint from 0 to 62 mph in just 2.5 seconds to go with a top speed of about 220 mph. The McLaren 675LT has rarely gone under a tuner’s microscope, but the few programs that do exist for the supercar are all fantastic. For instance, take this kit from Wheelsandmore. The German tuner put in a lot of time to make sure that the kit is up to stuff. It offers little in the way of any exterior and interior changes, but it does have a set of new 20- and 21-inch 6 Sporz² ultralight forged wheels that can be bought in a number of different looks and finishes. At the heart of the entire program is an ECU upgrade on the new McLaren, bringing the supercar’s total output to 720 horsepower and 553 pound-feet of torque. 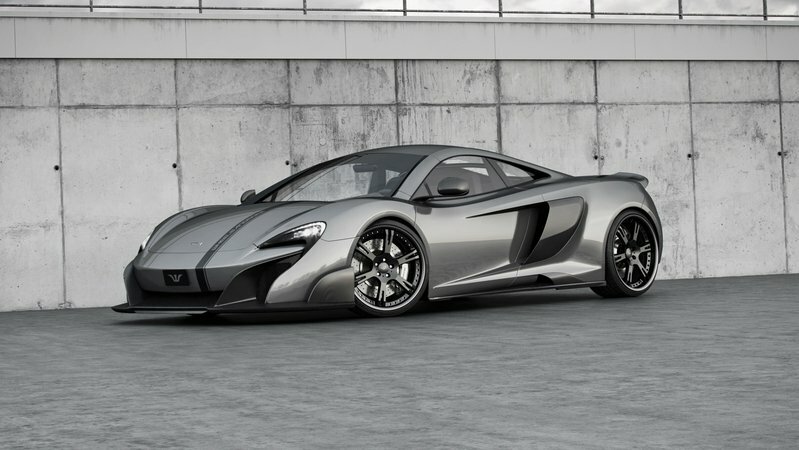 That represents an increase of 45 horsepower and 37 pound-feet of torque from the 675LT’s standard output of 675 horsepower and 516 pound-feet of torque. It’s not as much as what Mansory got out of the 488 GTB, but it should still be enough to a low the McLaren to sprint from 0 to 63 mph in 2.7 seconds and hit a top speed of 208 mph. I’ll be honest. I didn’t think I’d be as sold as I would be when I first heard about this program from Mansory. In some ways, I get why people don’t like Mansory. They don’t appreciate how a tuner can strip so much of the car’s essence, effectively turning it into a new model entirely. Their reasons are valid. On the other hand, the aftermarket tuning scene in the auto industry is one of those rare niches where people can fully express themselves and their companies in a platform that’s unlike anything we’ll ever see. Sure, Mansory can get tacky sometimes, but isn’t this exuberant expression of itself that really makes it stand out from the rest as one of the finest auto tuners in the business.